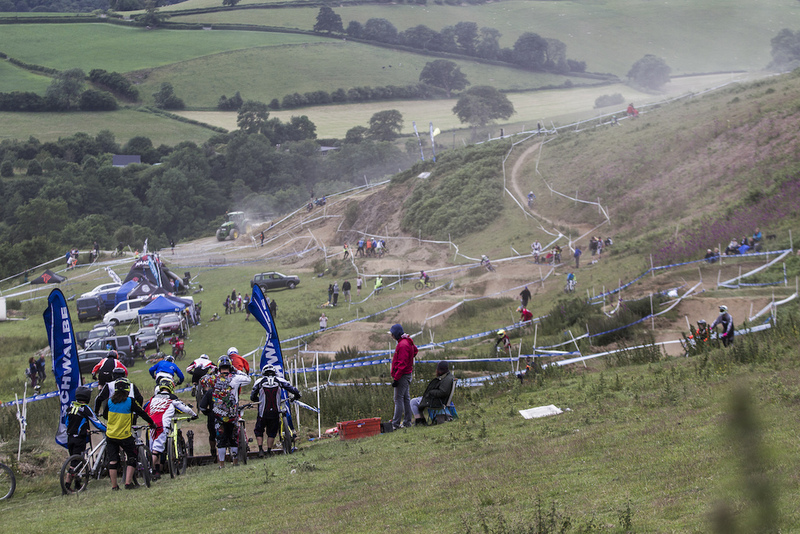 Moelfre in Wales is an idyllic venue for mountain bike racing. 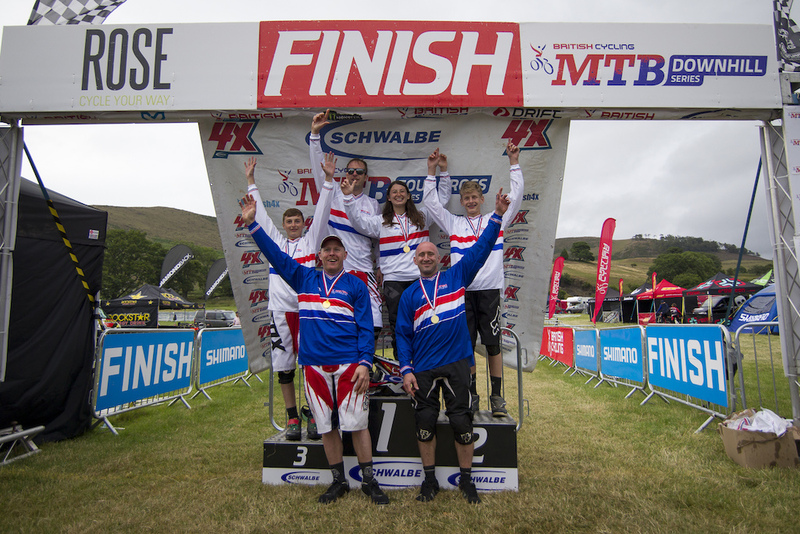 Rolling hillsides and views for miles provide some stunning backdrops for this venue and on Saturday 11th July, Britain's fastest mountain bike riders were here to do battle and decide who would be crowned 2015 Schwalbe 4X National Champion. 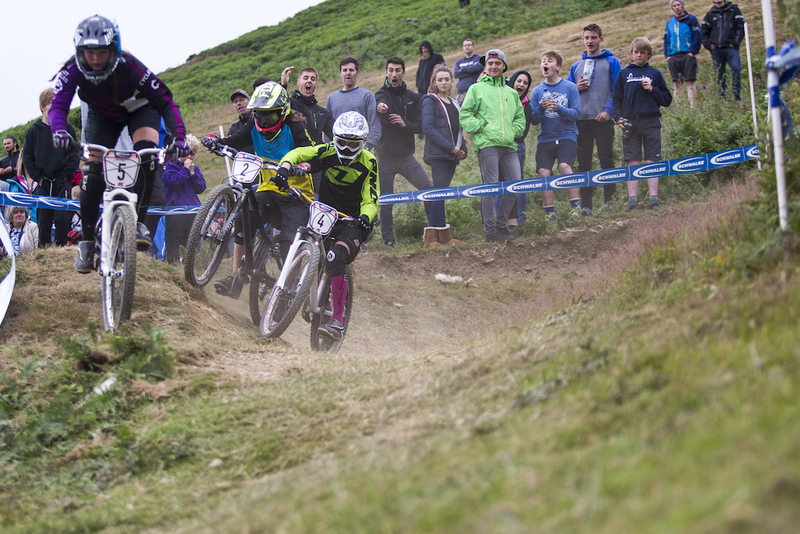 The event, run in conjunction with a British Downhill Series race, was all set to be a great weekend showcasing that DH and 4X work so well together over a weekend. The weather forecast was good and we were all set for practice. I had my doubts when I first saw the track, I certainly wasn't the only one! When push came to shove though it was one of the best tracks. 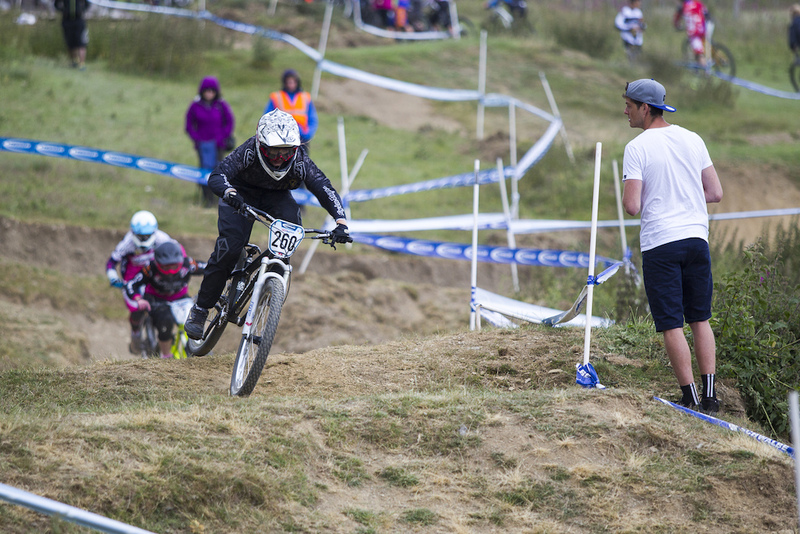 Most people arrived on Friday to get practice in ahead of the National Championships which were held on Saturday night. The track was last used in 2006 for the Fat Face night race series. Chris Roberts was at the track during the week to spruce it up and at 19.00 on Friday night practice got underway. The rough track took some adjusting to for many riders but by the end of practice everyone was up to speed and looking good. 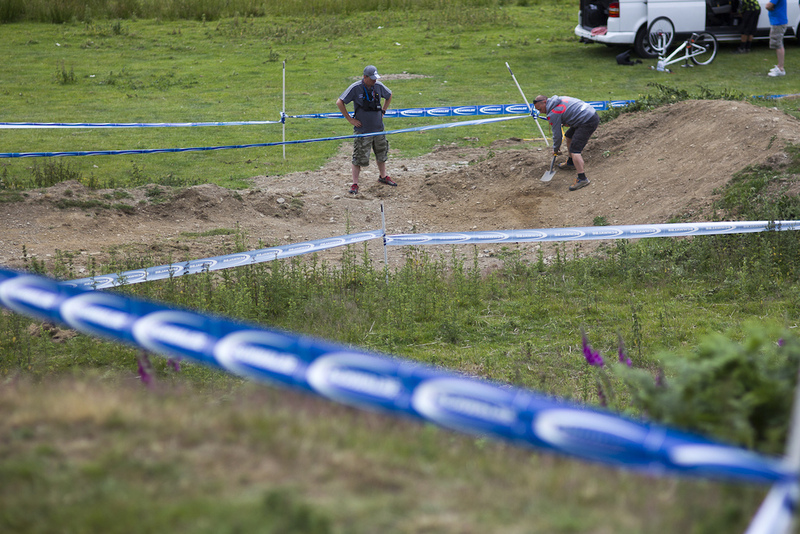 BDS organiser, Si Paton got the shovel out and made some last minute improvements to the course. Onto Saturday and the weather was great. Blue skies and perfect riding conditions for the riders as practice got underway at 14.00. 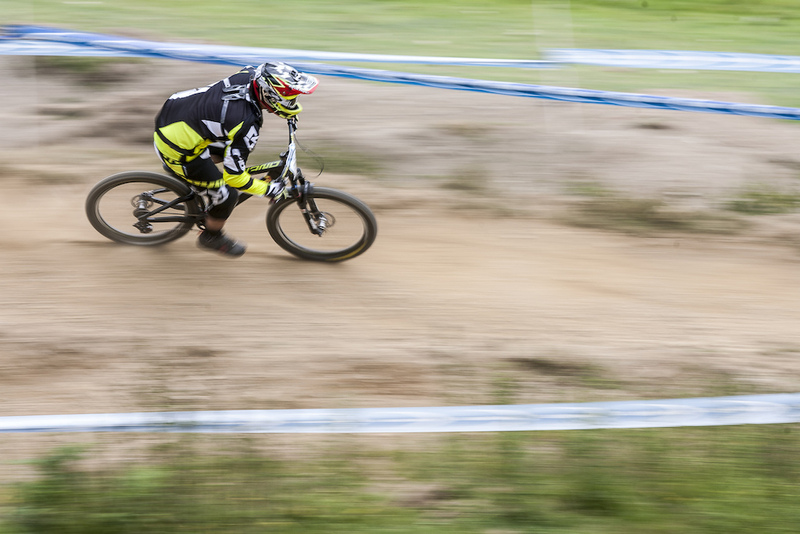 Two hours for everyone to get the track dialled. 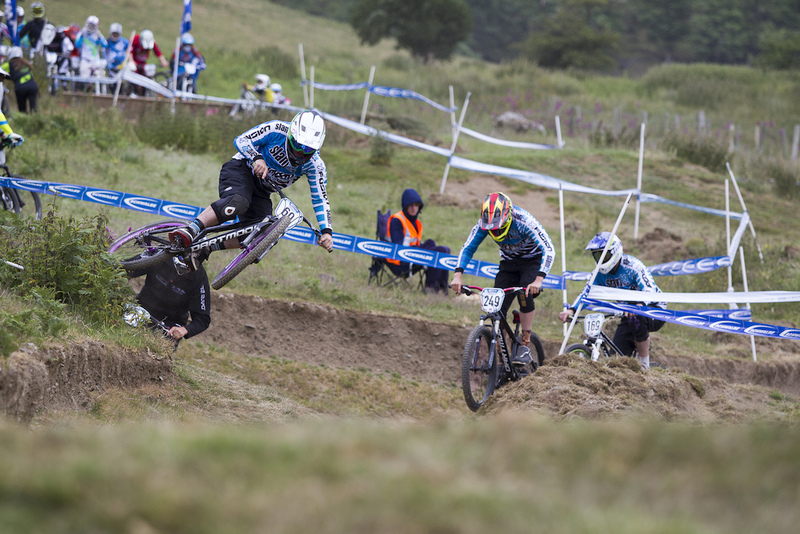 You could tell it was National Championships, as everyone was pushing hard, looking for those vital lines that could help them take home the title of 4X National Champion. DUST!!! and lots of it. It's finally summer here in the UK and the track had been baked for days. 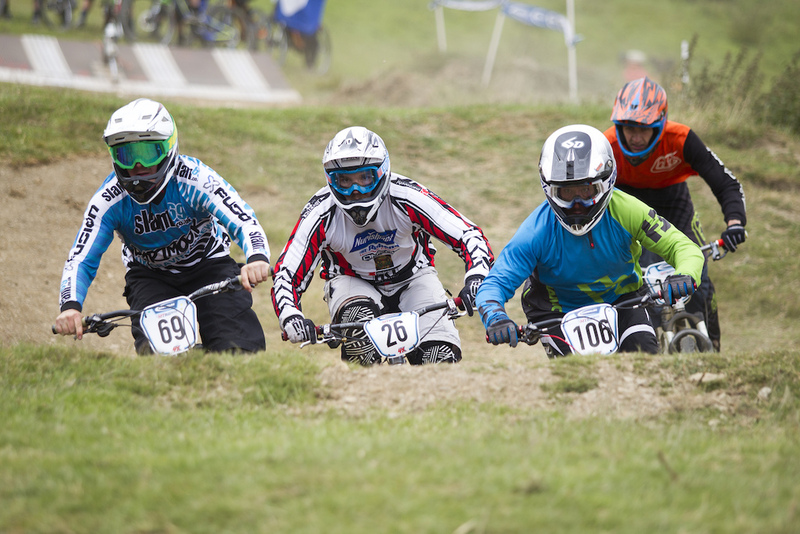 There was a large influx of BMX racers, the interesting thing is, most were saying how much of a mountain bike track it was. Father, Mark Fernihough watches on as Juvenile rider Harry Fernihough rails a turn during open practice. 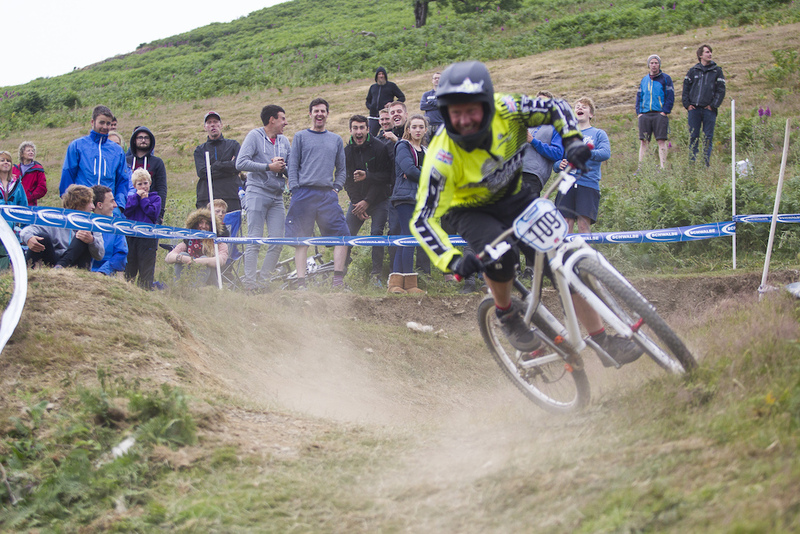 BDS organiser, Si Paton follows Leisure Lakes Bikes, Dave Richardson into the hairpin to get up to speed. Nate Parsons, he slipped my radar big time. He wasn't there on Friday night and I didn't see him much during practice on Saturday. Qualification though, So fast, 2nd place I believe. Still plenty of fight left in The Dog. 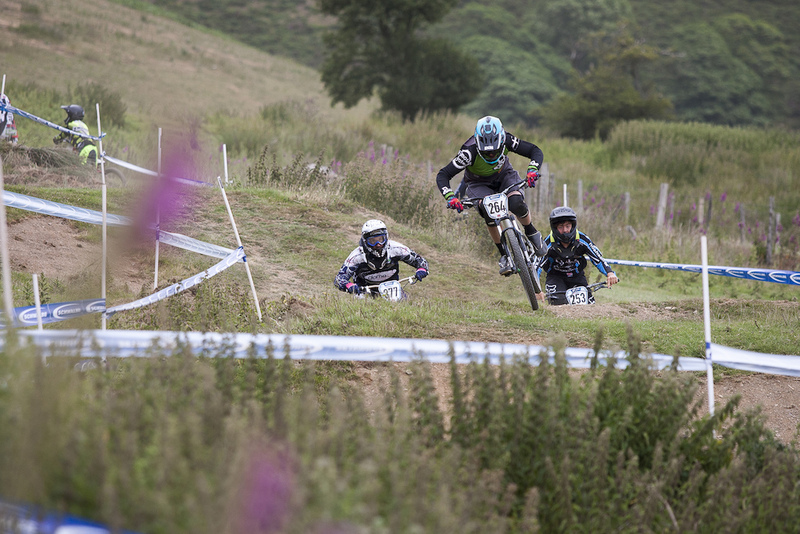 Style for days, Luke Roberts chopping down not only the competition but some nettles. At 17.30 the senior riders lined up for their timed qualifying runs. Going in reverse order to their national ranking, the pace was going to get quicker as seeding progressed. Duncan Ferris set the early pace with a run that looked faultless. Luke Cryer, Alex Metcalfe and Will Evans were unable to beat Duncan's time. Then Nathan Parsons nailed a great run to take over the hot seat. 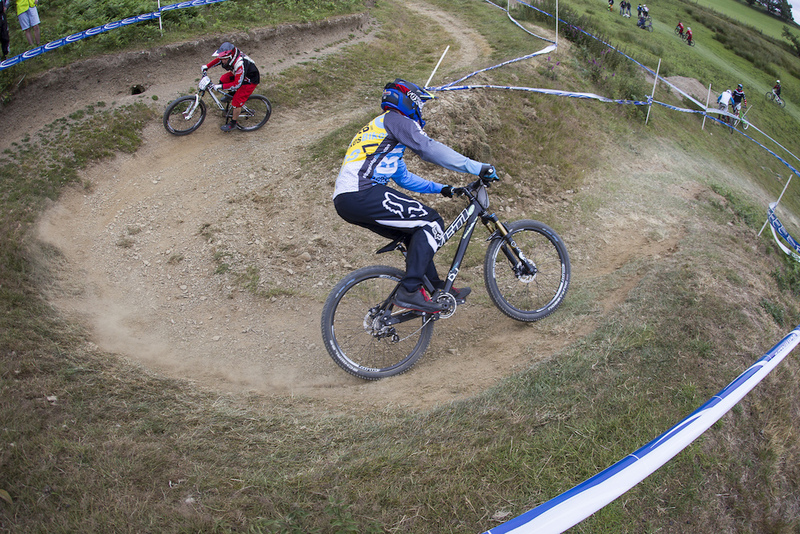 Last rider down was defending Champion, Scott Beaumont. Boom Boom rode smooth and precise to claim the fastest time by 0.5. 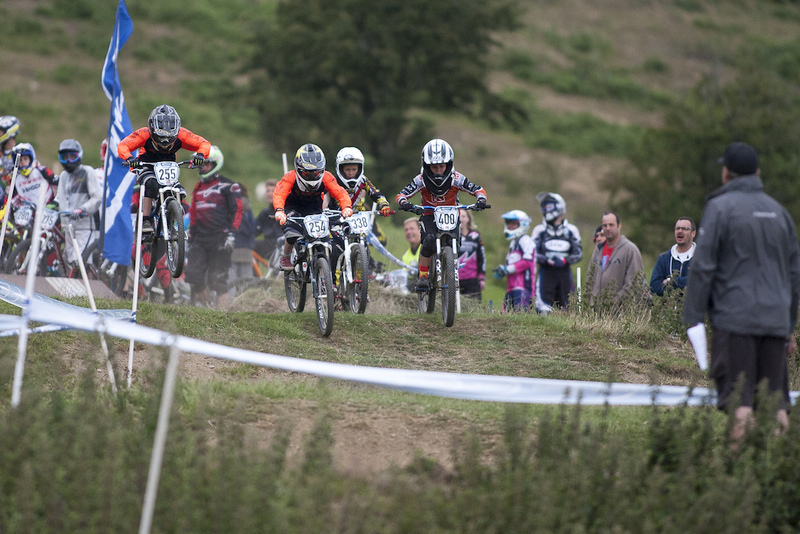 So with the riders all qualified and the brackets decided, it was time for racing. 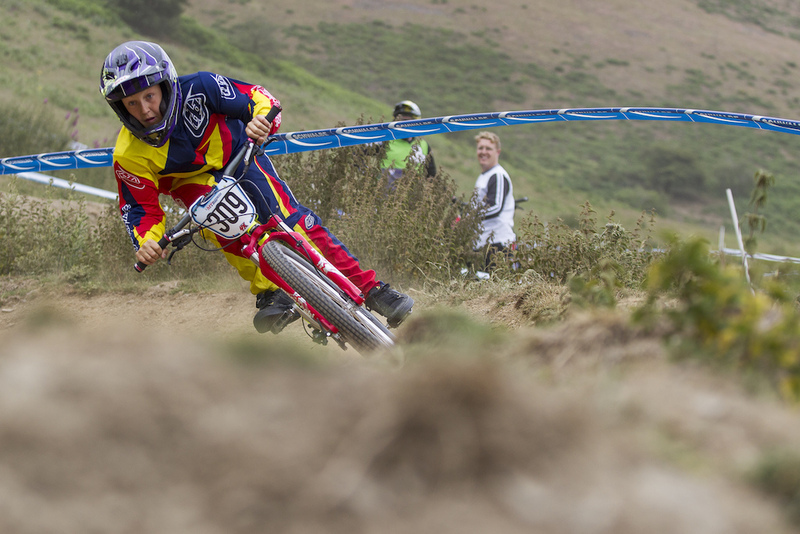 Dave Roberts was one of the few riders to opt for full suspension. 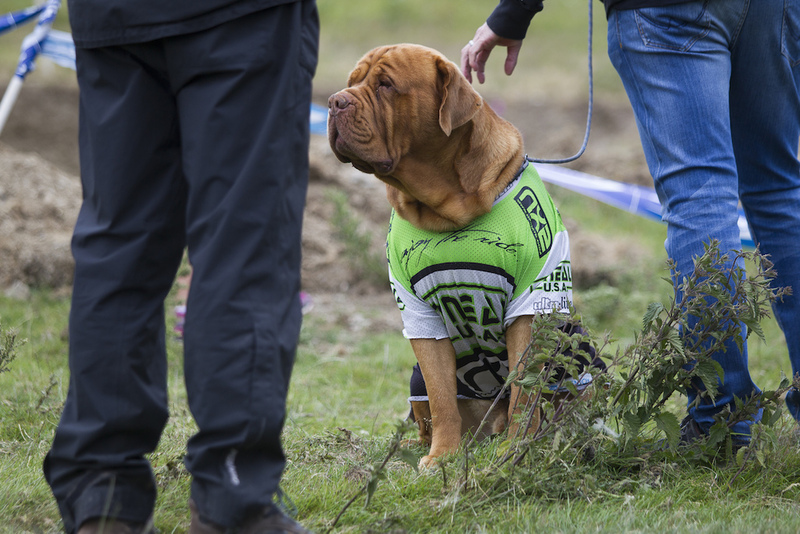 'Wat u sayin m8' Go go trail dog. It was good to see Jono Jones spectating, I remember him and his brother battling it out back in the day. Liz Fowler leading out the women. At 18.00 the racing began. It was great to see such a huge crowd. 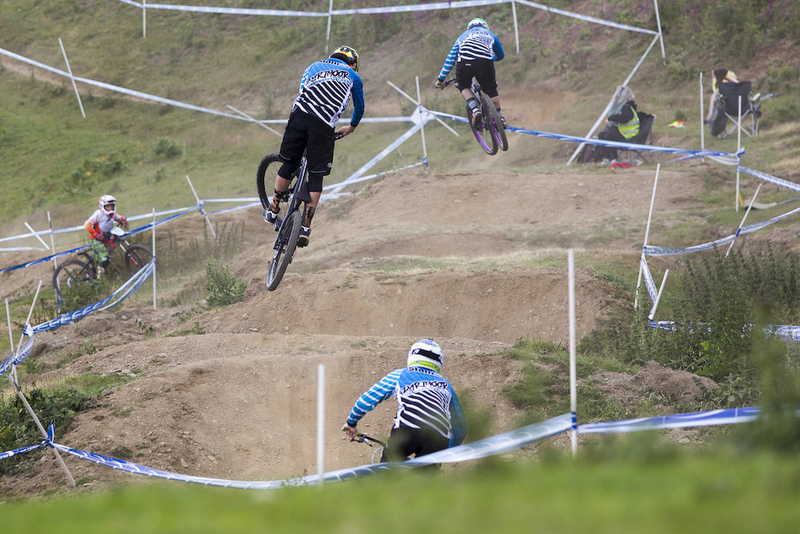 Plenty of downhill riders had finished their practice and had made their way up to watch the 4X race. In the first round the action started. 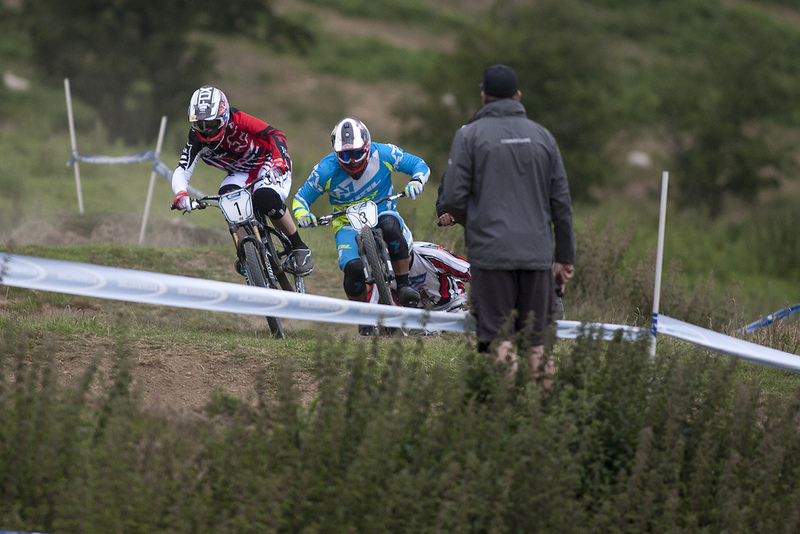 Luke Cryer was leading from Dave Richardson when third place rider Ben Jones crashed into Dave taking them both out. In a scramble for the bikes both riders set off together. Richardson dived inside in the next turn but his front wheel washed out. That was it for Dave as Cryer and Jones went on to the next round. Leon Rosser was also a surprise going out in the first round. Scott Beaumont leads out Paul Bakewell and the Hudson brothers into the bowl type hairpin. Bar to bar racing out of the gate. Semi final time and it was down to the sharp end. 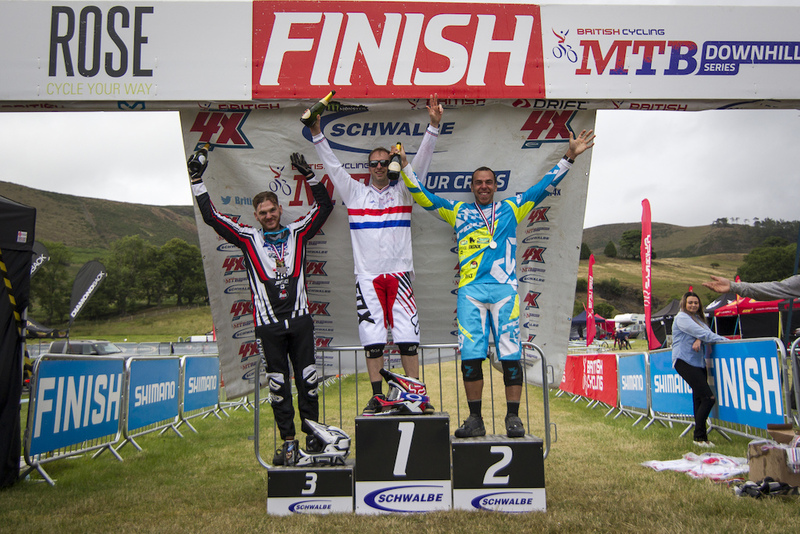 In semi final 1, it was Scott Beaumont in gate 1, Alex Metcalfe in 2, Paul Bakewell in 3 and James Whitby in 4. Boom Boom got the snap and checked out. 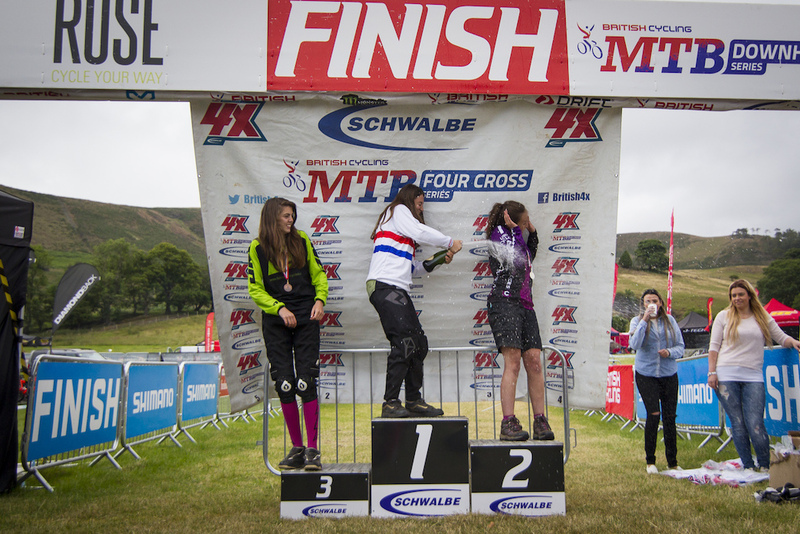 The battle was for 2nd between Bakewell and Metcalfe. 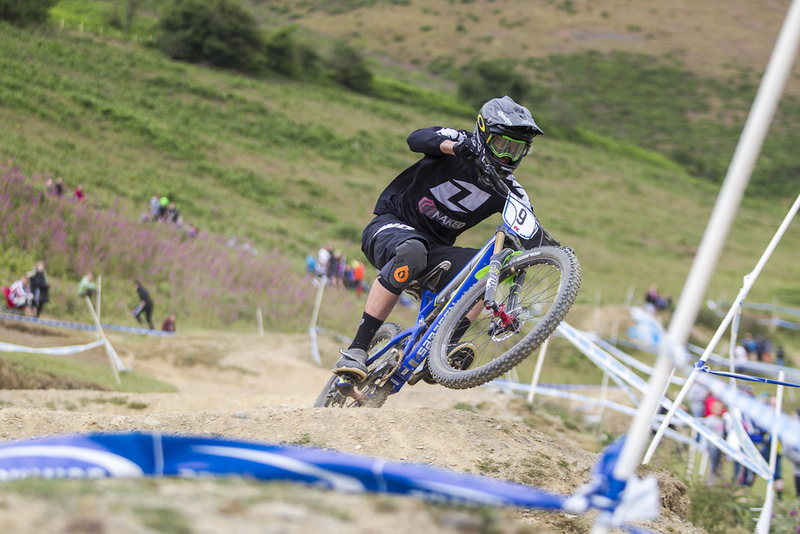 It was close through every turn as the riders battled but across the finish line Metcalfe did enough to make his first ever 4X National Championships final. 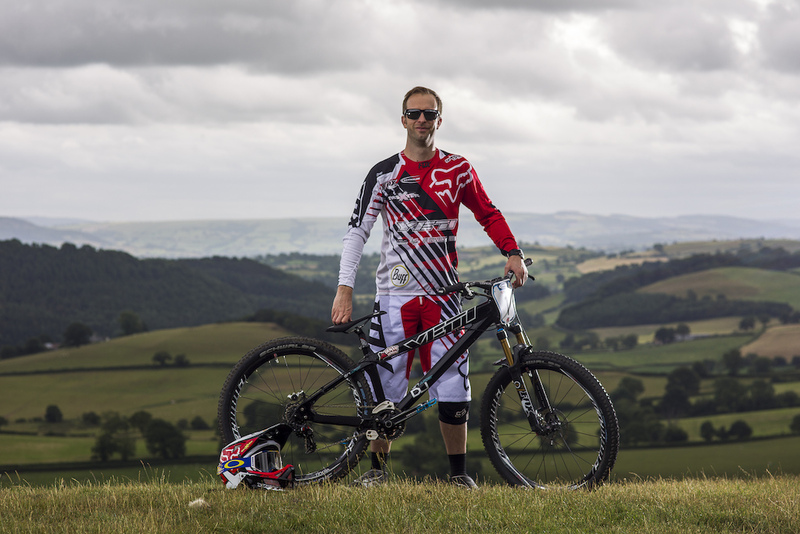 Freeride legend Chris Smith is on the hunt. 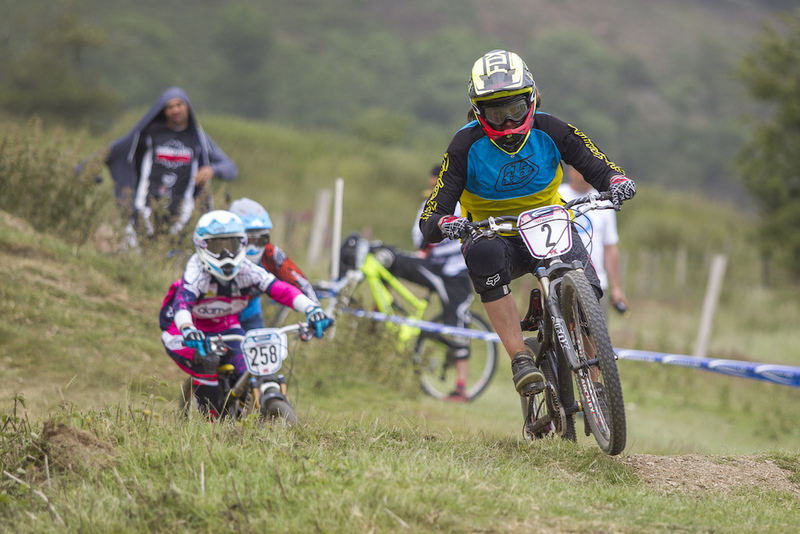 Natasha Bradley wasn't far off the men's pace over the weekend, very impressive, no wonder she took the 4X Pro Tour win at Fort William. Onto semi final two. Nathan Parsons took 1, Will Evans in 2, Luke Cryer in 3 and Ben Jones in 4. The gate dropped and it was Nathan Parsons in the lead. Parsons got a clean run through turn 1 and was away. Cryer was in 2nd and holding off the hard charging Evans. This one again went all the way to the finish line but it was Parsons and Cryer who crossed the line in 1st and 2nd and they were in the final. Putting the National Champs along side a BDS round was such a good idea. 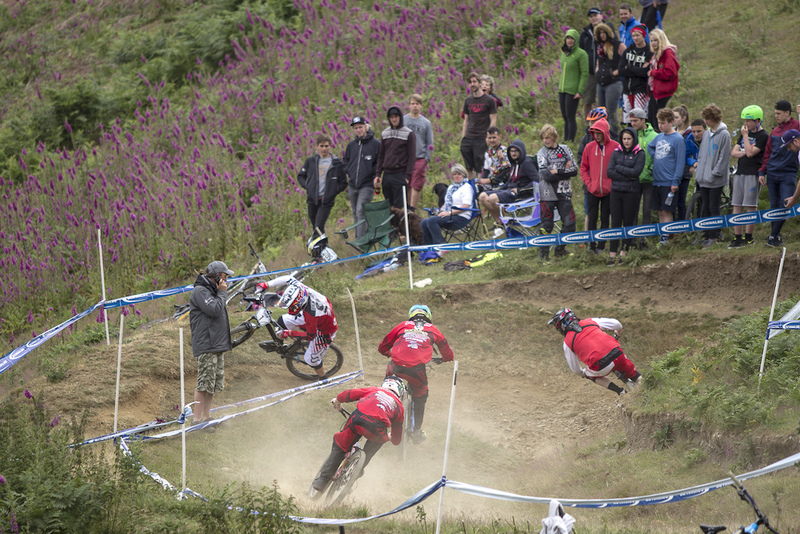 Here you've got a bunch of downhill riders witnessing there first 4x race, As you can see by their faces, they're clearly having a good time. Royal Racing/Seven Protection's, Dave Jaquin. 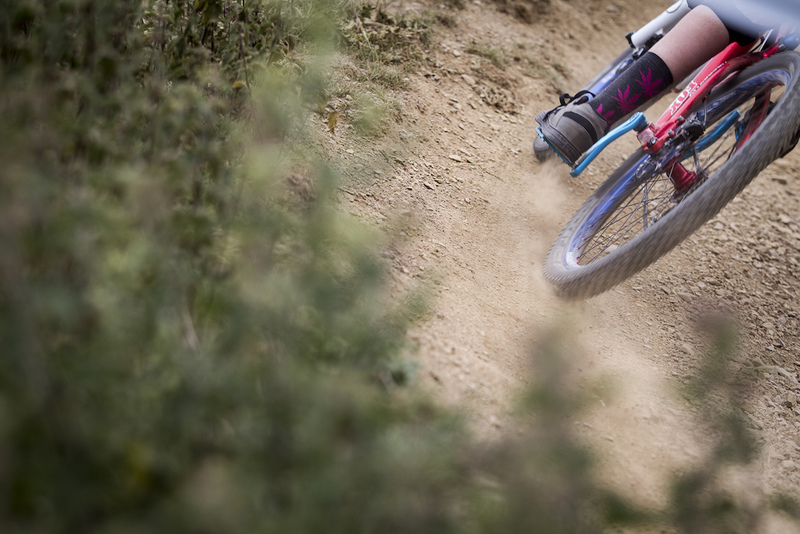 Such a sound guy and if you ever get the chance, Check out his full carbon Antidote hardtail. This was one of the most unpredictable races of the day. 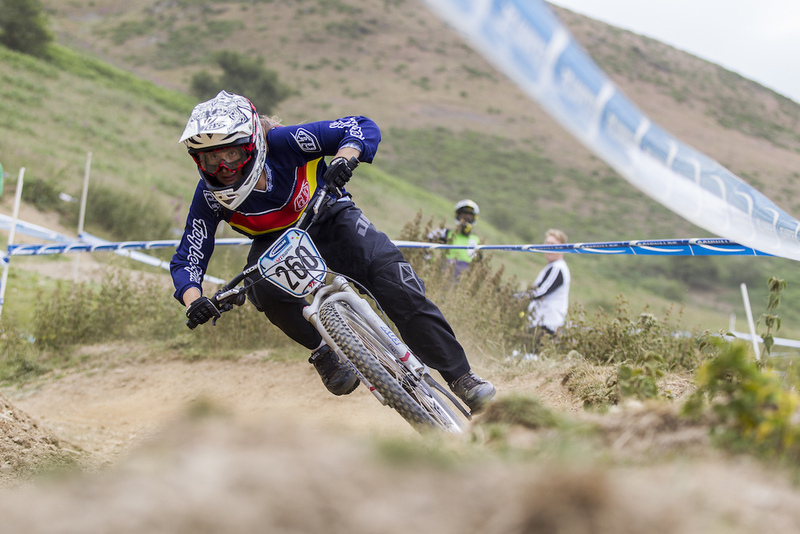 Liz Fowler was the defending champion but Natasha Bradley was looking fast. In gate 1 it was Bradley, 2, Tyde D'Souza, 3, Megan Wherry and 4, Fowler. The gate dropped and Bradley had the lead. Wherry was close behind but Fowler and D'Souza got a bit messed up in turn 1. 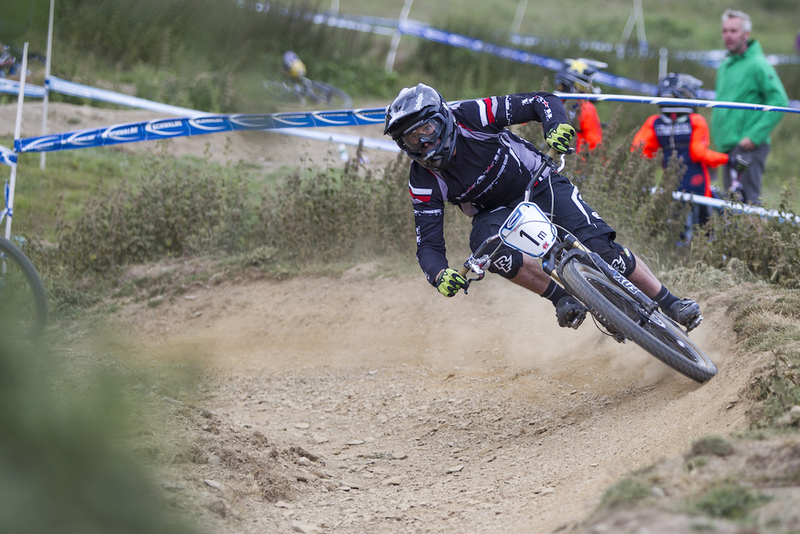 It was an amazing ride, leading from start to finish, for Bradley to become the new National Champion. Battling it out bar to bar elbow to elbow to get through to the finals. 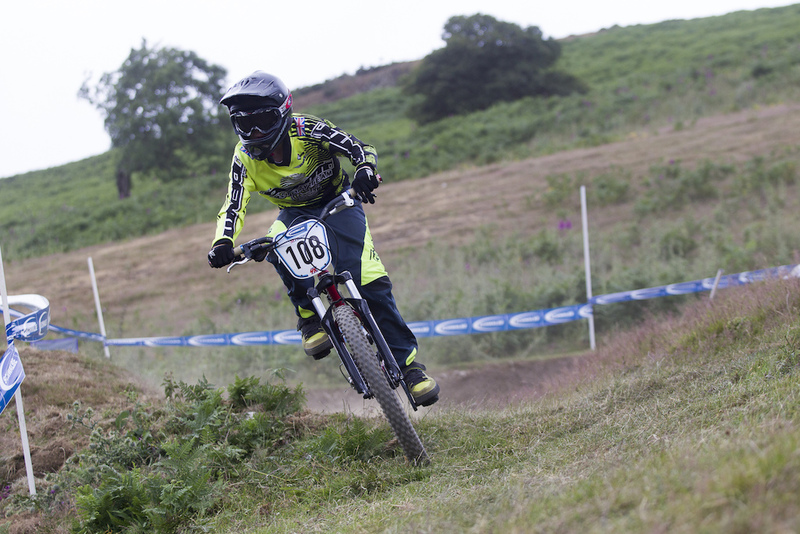 Dirt Bike Supply's Charlie Currie leading into the first turn. The ripper class was first up. I think these guys got more support than the elites. The racing was close all night but in the final it was Louie Partridge from Tyler Partridge and Luke Madley. Travis Davies was 4th and George Madley in 5th. Tyler Partridge leads out the rippers. So it was down to this. Beaumont took gate 1, Parsons in 2, Metcalfe in 3 and Cryer in 4. The gate dropped and Beaumont took the holeshot with Parsons in 2 and Metcalfe battling with Cryer. In turn 2 Boom Boom protected the inside and the others swung wide to carry speed. It was tight but in turn 3, the action started. Beaumont pulled a lead, Parsons was holding 2nd but Cryer dived inside of Metcalfe. His wheel lost grip and he crashed out. Beaumont kept his head through the last corner and crossed the finish line to retain the senior men's 4X National Championship. Parsons in 2nd, Metcalfe in 3rd with Cryer in 4th. 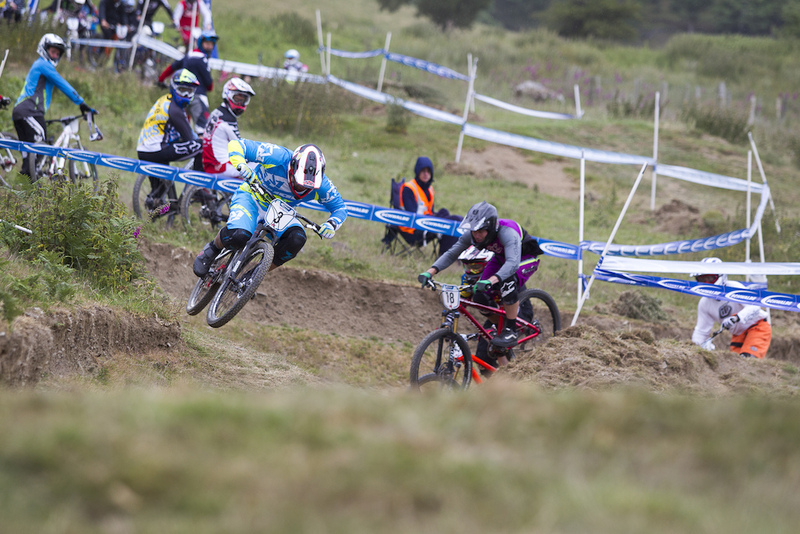 It was an action packed race from start to finish which will now go into the history books. 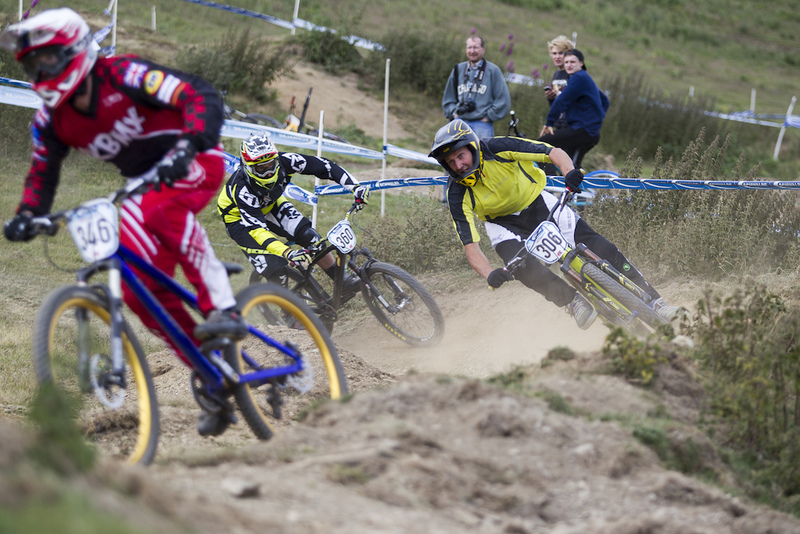 Scott Beaumont and Nate Parsons battle it out in the final with Alex Metcalfe on their back wheel. The podiums took place soon afterwards with champagne flying and National Champions jerseys being handed out to the winners. 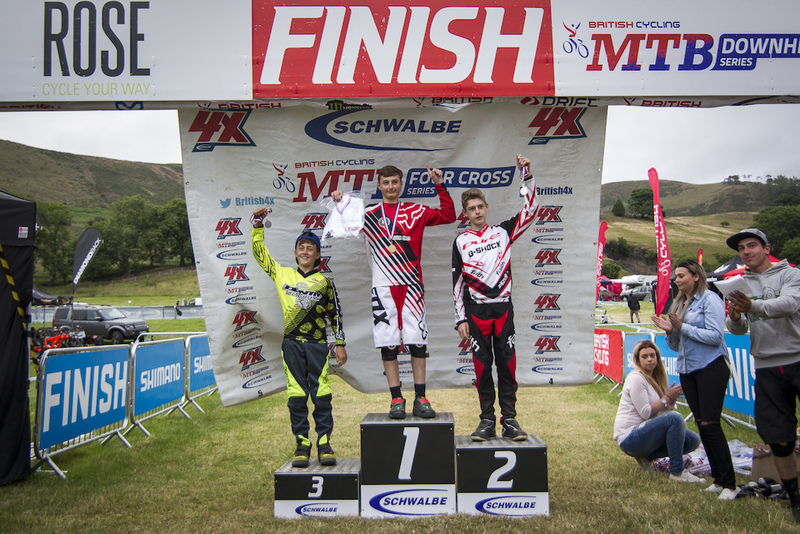 Luke Madleyduring, Louie Partridge and Tyler Partridge. Sydney Allen, Dec Willicombe and Ted Dalleywater. 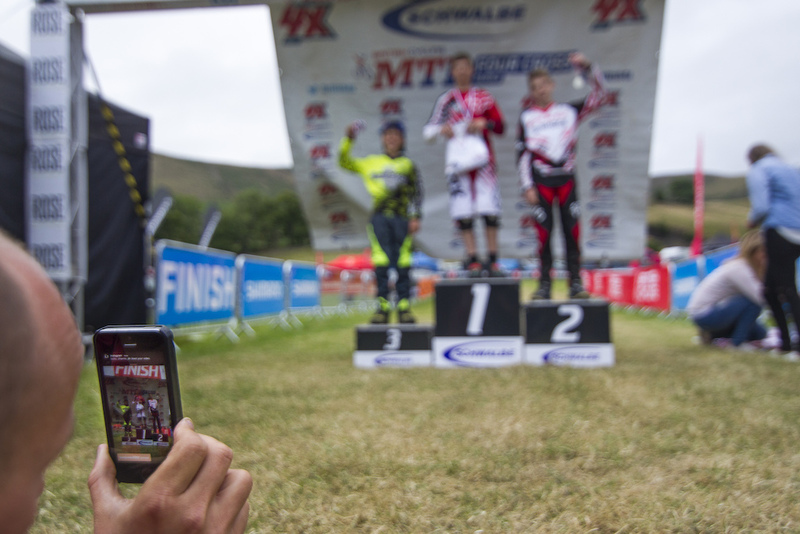 Si Paton live streaming the podiums. 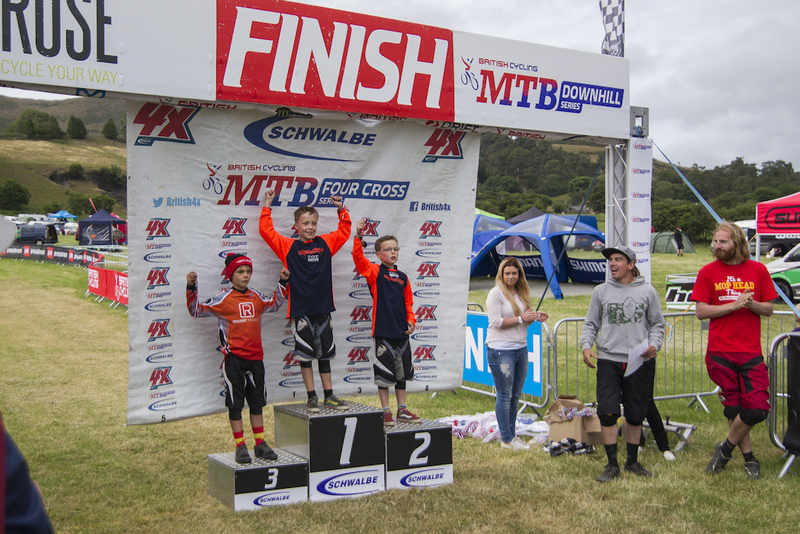 Oscar Powell, Aaron Dalleywater and Charlie Currie. Stephen Russell, Nick Hill and Mark Fernihough. Phillip Gray, Jason Jessop and Julian Allen. Tyde D'Souza, Natasha Bradley and Liz Fowler. 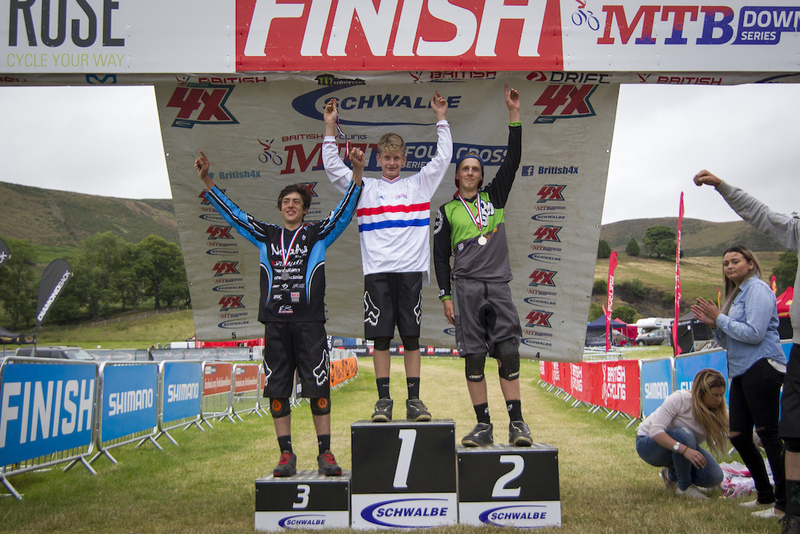 Your Male elite Podium Alex Metcalfe 3rd, Scott Beaumont 1st, Nathan Parsons 2nd. 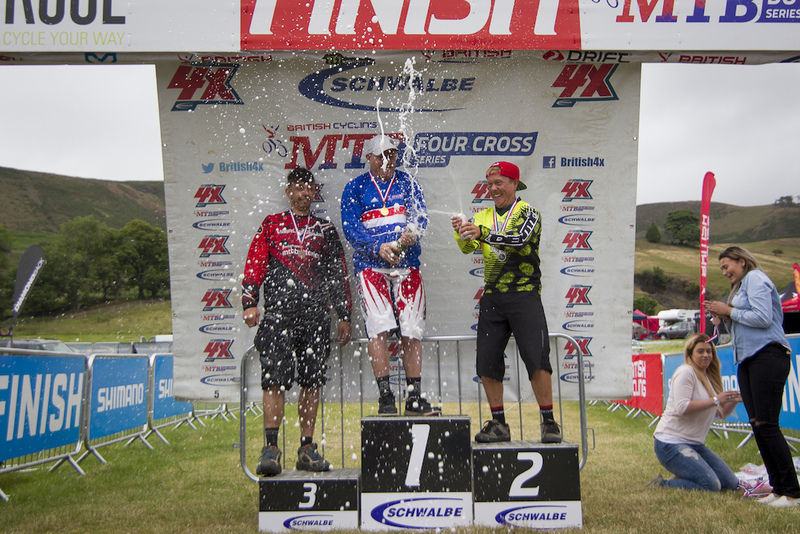 Your 2015 British 4X National Champion, Scott Beaumont. Yeah, some of the riders dont match the pics.. Was a great day, wasn't sure about the track at first look but, it made so much more sense when riding it. With a bit of tlc it could be one of the best. 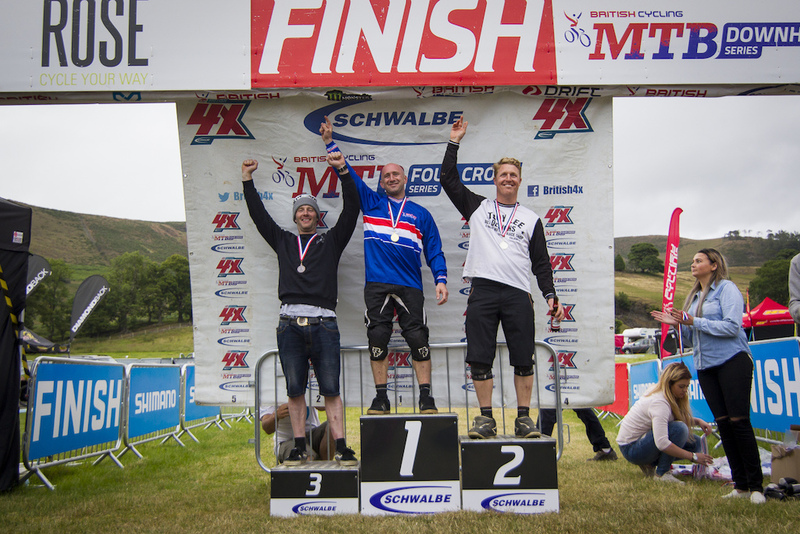 Massive congrats to all the podiums!